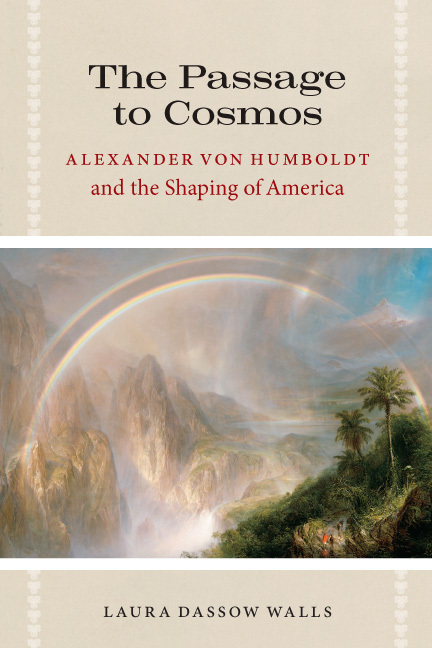 Alexander von Humboldt had the air of the mystic about him. He was a man who wandered mountains, gathered disciples, and looked for hidden meanings. In the age of specialization, he still thought it reasonable to write a book about The Universe. Yet as mystics go, Humboldt was a strange one. His visions did not appear to him in moments of solitude, while sitting in a temple or perched on a mountaintop. Rather, they came to him in the midst of the typhoon, trying to apprehend the deluge of phenomena that swirled about him. While Siddhartha and St Thomas abandoned their possessions, Humboldt hoarded his. Barometers, dip compasses, pressed flowers, dead birds: they fill the Baron’s world. These objects pack the corners of almost every portrait ever made of him (replaced in later years by shelves overflowing with books). If Humboldt was a mystic, he was one who suffered from obsessive-compulsive disorder. Yet it wasn’t that Humboldt couldn’t let go. It was that little things mattered. In ephemeral objects and bits of data, he saw hidden patterns of the world, the connective tissue of the universe. These deeper motives were often invisible to his readers, especially for the first decades of the nineteenth century. In the early years, North Americans and Europeans tended to look upon Humboldt, fondly, as both expert and walking cabinet-of-curiosities. Only in the late 1840s, with the publication of the magisterial Cosmos, did they gain full measure of Humboldt’s interest in the big picture. Even then, however, Humboldt struggled to explain himself, to tell the story of big ideas through the scrupulous account of small phenomena, a project that required greater literary skills than he possessed. For this reason, Humboldt would have thrilled to read Passage to Cosmos, not because Laura Walls had written about him, but because she had done what he had always hoped to do: bring a fine-grain reading of the subject elegantly to bear on questions of greater scale. Like her subject, Walls fully commands the details of her story. Passage offers a close reading of Humboldt’s early life, his expedition to South America, his return to Europe, and his efforts to articulate a vision of Cosmos. Yet Passage roosts in the trees of Humboldt’s life only so long before soaring off for different views of the woods: Humboldt’s roots in German philosophy, his experiences in the Post-Enlightenment cultures of France and the United States, and his attempts to walk the ridgeline between the emerging “two cultures” of science and literature. Humboldt’s flights from the particular to the general sometimes give the reader vertigo. This is not true of Passage. Walls shows exceptional skill in bringing us from microcosm to macrocosm and back again, never losing sight of the narrative arc of her story. There is, of course, no perfect view of the woods, the Universe, or Prussian explorers. As Humboldt understood, the human subject was not, nor could be, mere witness to Nature. It was its co-creator, the imaginative agent that put disparate phenomena together into a whole. This is true of biographies too. Passage reflects Walls’ deep understanding of American literary and scientific circles in the 19th century, the educated “Culture of Truth” that embraced Humboldt’s work and adapted its ideas for use in natural history, philosophy, and literature. Yet there were other channels of the Humboldt Current that remain uncharted in Passage. While Walls gives an incisive account of Humboldt’s impact upon Transcendentalists and natural philosophers, she is silent on his earliest adopters: educators and textbook writers who understood Humboldt’s holistic visions long before he had become the hero of Cosmos. When Humboldt’s primitive maps bearing “isothermal lines” (the ancestor of modern weather maps) first appeared, they were scarcely noticed in scholarly circles. Before they percolated up to the salon and the café, they would become well known in the classroom to thousands of American pupils who worked through the geography primers of William Woodbridge and Emma Willard in the 1820s. Woodbridge, Willard, and the textbook writers who copied them, were quick to see the genius in Humboldt’s holistic displays of information, extending, colorizing, and annotating his isothermal maps. 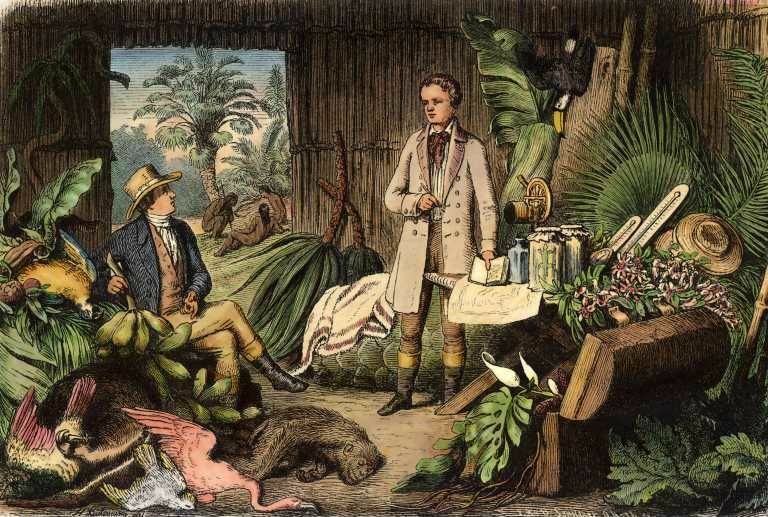 By the 1830s, geography primers had abandoned rote lists of names and places to emphasize “the relations among things” including climatic and ecological zones, economic production, and maps displaying the world’s population by their “degree of civilization.” Here is the irony that Passage misses: while elites continued to see Humboldt as a living encyclopedia well into the 1830s, the “rougher classes” had already come to understand his work in more modern, post-Cosmos, ways. 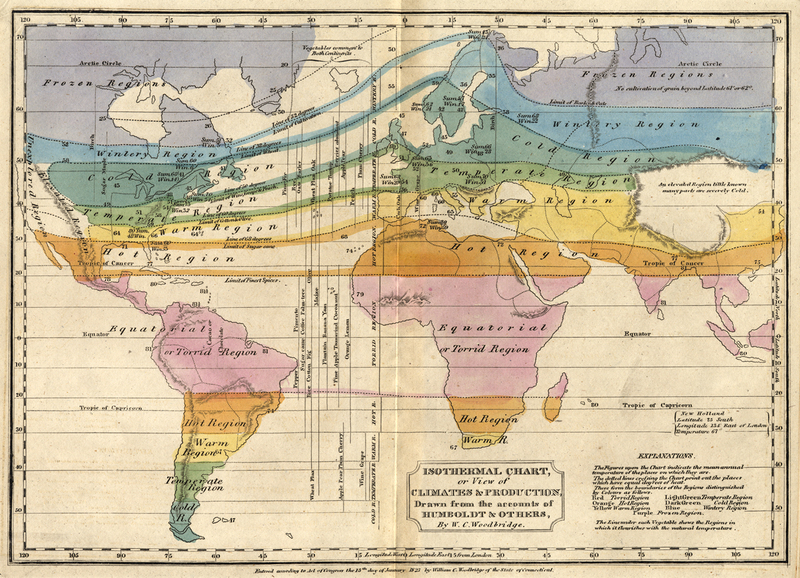 “Isothermal Chart, or View of Climates & Production, Drawn from the Accounts of Humboldt & Others” in William Woodbridge’s Rudiments of Geography (Atlas), 1823. If Passage doesn’t chart all the ways Humboldt shaped America, it remains a work of broad scope and great beauty. Walls navigates adeptly through the many perils that confront the Humboldtian biographer. She finds drama in the corners of Humboldt’s life that others have missed. She succeeds in being comprehensive without being exhaustive. She has managed, in the words Humboldt’s brother Wilhelm, to “clothe the skeleton with flesh.” The result is a biography that soars. Of the many excellent works on Humboldt that have emerged in the last decade, this one is the best. This review is part of a roundtable review of Wall’s book at the H-Environment Discussion Network. Thanks to the H-Enivironment for permission to post this excerpt here.